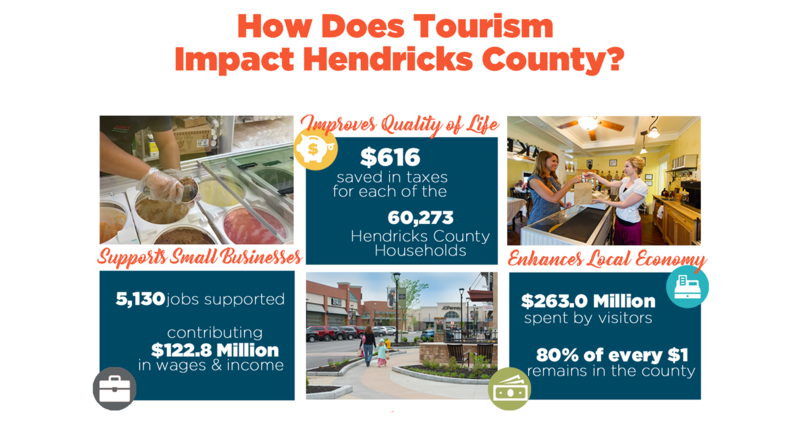 Situated in central Indiana, just west of Indianapolis, Hendricks County is steadily growing as a tourism destination. With visitors spending $263 million dollars in 2016 and 5,130 tourism jobs, it is an important industry for the county. Along with the great economic benefits of tourism, traveling benefits us as humans. Project: Time Off, led by the U.S. Travel Association, shows the effects on healthy aging, the importance of using paid time-off to be a more productive employee and the need to build relationships with your family through vacations.